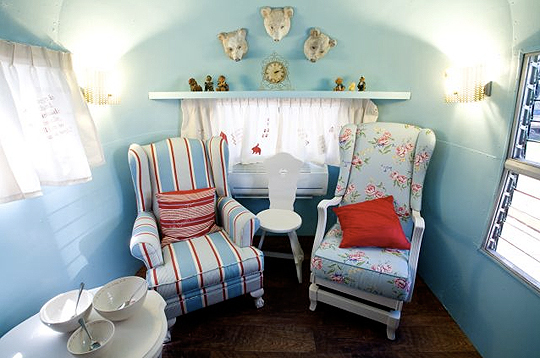 I am so intrigued by the concept of Airstream Hotels! Can you imagine checking into your hotel and it’s not a room but, an entire Airstream travel trailer? 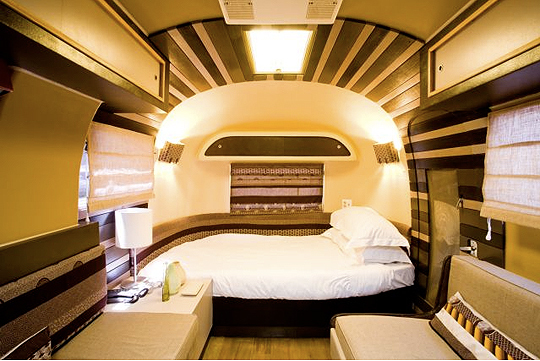 I would love to stay in one of these super hip, super swanky Airstream hotels. 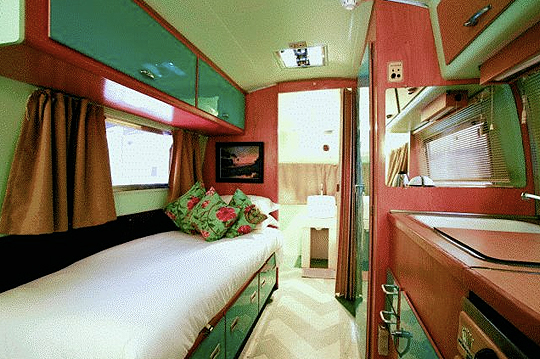 Over the next several posts, I’ll highlight some of the most interesting and innovative trailer hotels. I had to start with the grand daddy of them all (no pun intended! )~The Grand Daddy Hotel in Cape Town, South Africa. 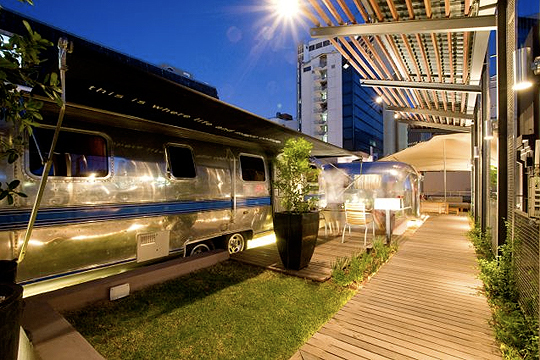 On the rooftop of this 4 Star hotel is a caravan park consisting of seven vintage Airstreams. Six of the ‘Streams were shipped from the US and one is from South Africa. They are all late 50’s and 60’s models. 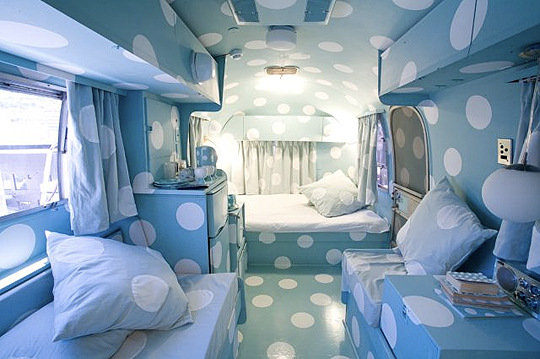 Each Airstream interior was custom designed by an artist so each trailer is uniquely different. 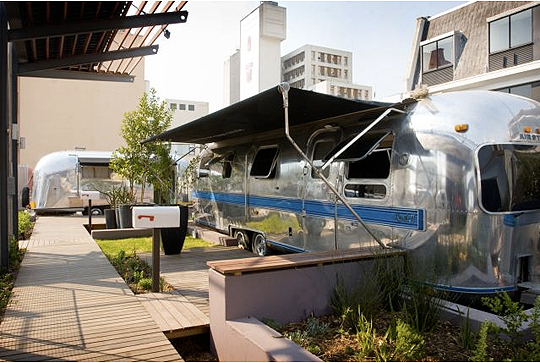 Next time you are visiting South Africa, check out the The Grand Daddy rooftop Caravan Park! No.3 looks like our Sure-Lay ( 1972 )… but this one is probably a 74, 75 or 76 model.